Why the Business and Innovation Minor at Providence College? The business and innovation minor (BIN) at Providence College combines the best of a liberal arts education with contemporary courses in business. This new minor gives non-business majors a fundamental toolkit of valuable business skills, including entrepreneurship and innovation. Interdisciplinary in nature, the BIN offers foundational courses in accountancy, computer science, and art. Students then choose their own paths from four tracks that are led by accomplished faculty from disciplines that include biology, chemistry, economics, global studies, history, political science, psychology, and sociology. The minor includes four tracks that are intended to engage and challenge you: Organizations and Entrepreneurs, Global Engagement, Applied Science, and Design Thinking. More importantly, they’re intended for you to make connections between business and the liberal arts — an educational journey without limits. If you are interested in declaring a business and innovation minor, please fill out this major/minor declaration form. If you already have declared a major, you must get this form approved by your major’s department chairperson. If you have not yet declared a major, you must get this form approved and signed by your undeclared academic advisor. As there is no code available for business and innovation, simply write the words “Business and Innovation” along with chosen track: “track 1, 2, 3, or 4” in or close to the minors/concentrations boxes. Forward a completed pdf copy of this form to Dr. Eric Sung mastersung@providence.edu or deliver the completed form in person to his mailbox in Hunt Cavanagh for approval. This is only a temporary process. All major and minor declarations will become an online form shortly. 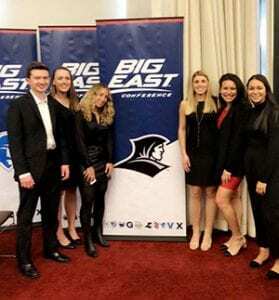 A team representing Providence College tied for third place in the inaugural BIG EAST Conference Startup Challenge on March 16. During the challenge, held at St. John’s University’s Manhattan campus, teams of student entrepreneurs from all 10 BIG EAST schools presented ideas for innovations and products to a panel of judges made up of BIG EAST alumni. PC’s team made a pitch for their startup, WeCycle, a mobile app that helps college students cut down on unnecessary costs by lending, renting, or purchasing in an online, campus-specific marketplace. With their third-place finish, PC’s team received an honorarium of $1,000 to pursue their startup. The students were also recognized at the BIG EAST Men’s Basketball Tournament Championship game, March 17 at Madison Square Garden. All students outside of the School of Business are eligible to enroll in the program. Students choose tracks reflecting major-aligned disciplinary clusters. 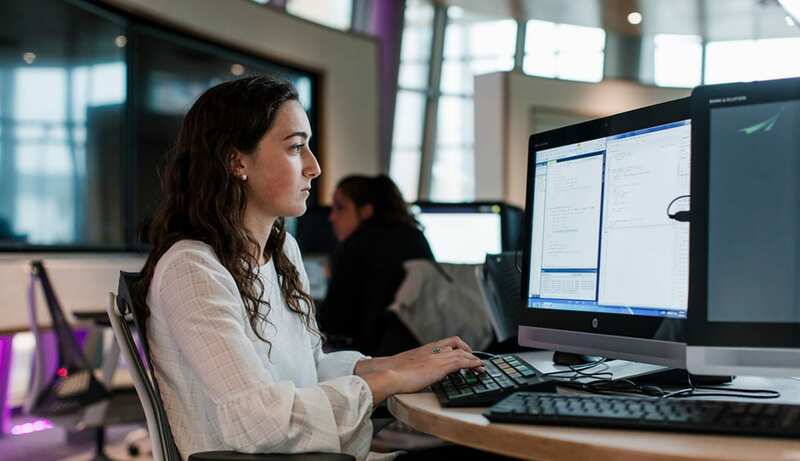 Being able to apply concepts from the required core courses into specialized courses within disciplines will enable students to develop track-specific skills overlapping with business and design principles. Courses may be added to or removed from those listed below as appropriate. Track sponsors will work with students to facilitate advising and course options/availability. This track highlights the core areas of business, providing a broad understanding of business theory, economics, practices, and applications. It combines a foundational education in business competencies, such as design thinking and financial principles, with skills-oriented courses that prepare students to work in a business environment. This track explores competencies related to the study of global business and innovation, including an awareness of globalization and global issues, intermediate proficiency in a foreign language, and reflective practice on international experiences. This track is designed for students interested in developing business skills with a focus on emerging technologies and innovation in STEM fields. This track hones students’ skills in visual analysis and creative problem solving, allowing them to navigate a world that has become increasingly inundated with visual media and data. BIN faculty are expert teachers and scholars from a number of disciplines. They’re published authors, featured conference speakers, and respected members of local, national, and international organizations. Just as important, they aren’t just business faculty or just faculty in the liberal arts or professional studies. They are all of those — a collection of scholar-teachers who value the depth and perspective that a liberal arts education provides.